This is the first release to drop PHP 5.3 support, which is good news for many. The v2.0 release notes detail the changes and lists 10 additional printers tested out by the user base. Please direct any bug reports to the issue tracker on GitHub. The escpos-php tag on this blog has some tips and examples. 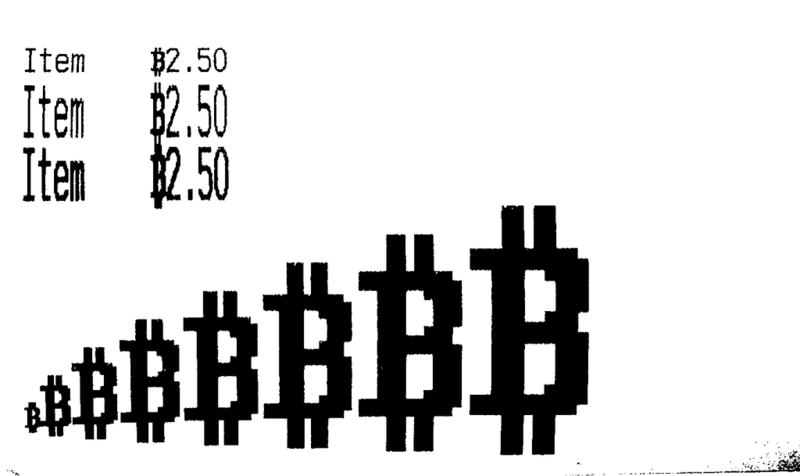 Most receipt printers have a font that contains a ‘$’ sign, and many have settings to print ‘£’ ‘¥’ and ‘€’. However, I don’t know of any that can display the Bitcoin ‘₿’ or Indian Rupee ‘₹’ symbols yet. 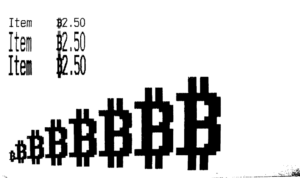 I recently answered a question about displaying inline images on receipts from PHP, and I think this would be the best way to output newer currency codes at the moment. 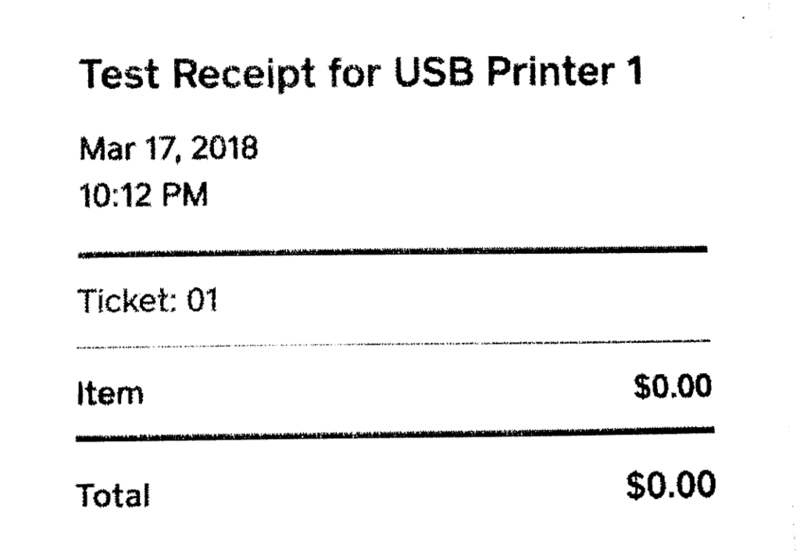 Based on that answer, I used an Epson TM-T20, which understands the ESC/POS page description language, and extended the escpos-php library to list prices on a receipt in Bitcoin. // Print image inline. If it is a multi-line image, then only the first line is printed! If you just have a few custom character to print, then this clearly works. Unfortunately, you can’t use text formatting commands alongside this method. This is a more complex method, where we will instruct the printer to use a BTC symbol in place of a dollar sign, through a custom character. // Replace '$' with a 24x12 image. 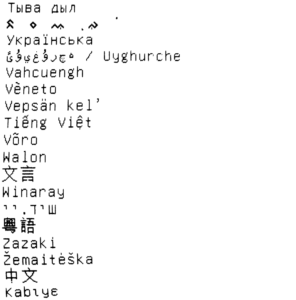 Both of these methods let us encode arbitrary characters that we couldn’t otherwise be able to print- all we need is bitmaps for each character. 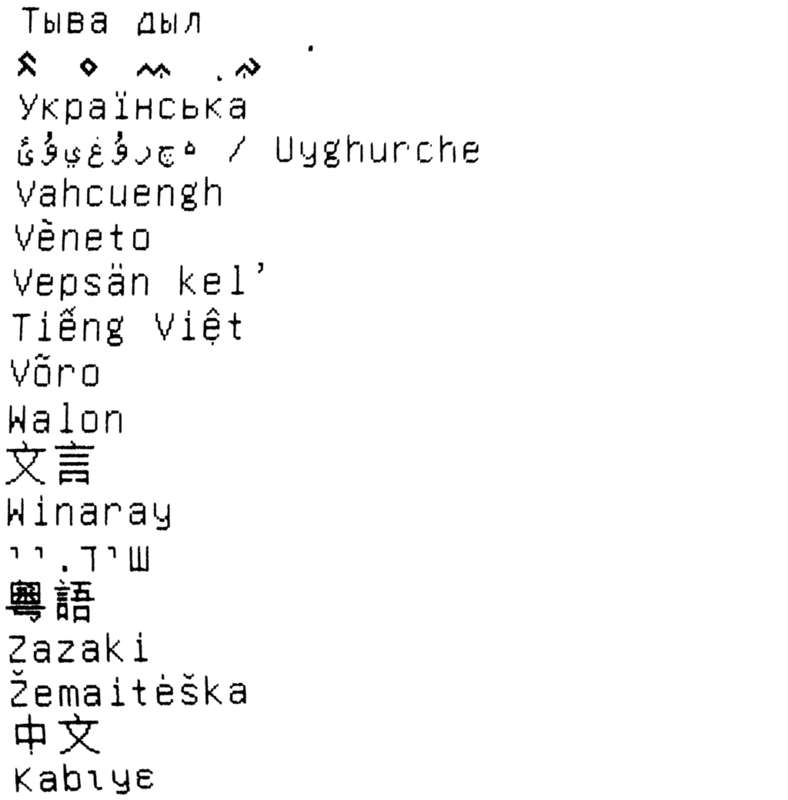 There is no plan to include bitmap fonts with escpos-php at the moment, but this basic mechanism might be used to improve Unicode support for a lot of receipt printers in the future. Update 2018-03-11: I added the custom character set option to this post. This is expected to be the final release in the 1.x series. Newer versions will drop support for some end-of-life PHP versions. The v1.6 release notes detail the changes and lists 13 additional printers tested out by the user base. 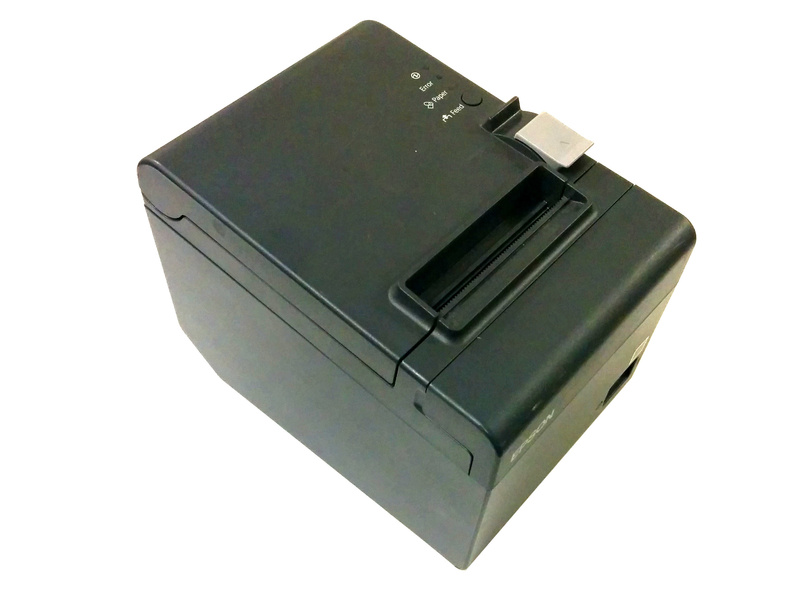 escpos-printer-db – Crowd-sourced database of printer features. 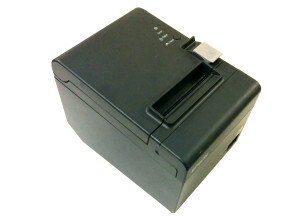 Add your printer for better support in open source drivers! escpos-tools – Tools to work with ESC/POS binary, including text or image extraction, HTML conversion. chrome-raw-print – A browser plugin to access local printers from a web-page. 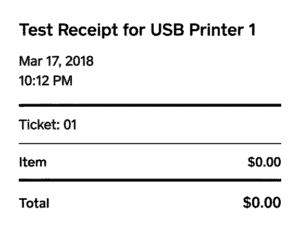 This post is a reference for printing PDF417 2-dimensional codes to a receipt printer, using the escpos-php. 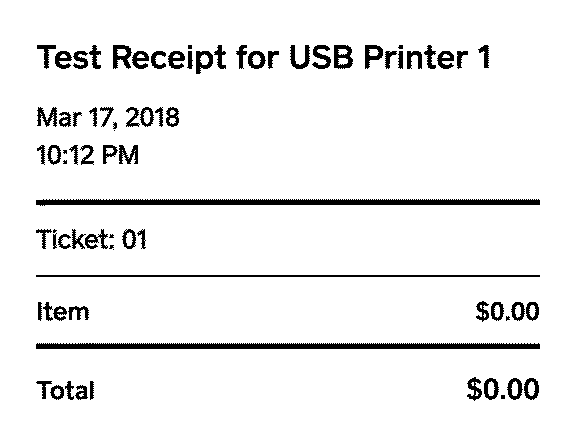 I’ve got an older post about printing QR codes with escpos-php, which follows the same format and has some more background and links if you haven’t printed receipts from PHP before. Print a two-dimensional data code using the PDF417 standard. 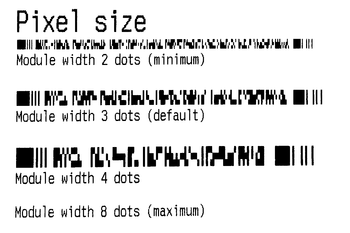 number $width: Width of a module (pixel) in the printed code. Default is 3 dots. 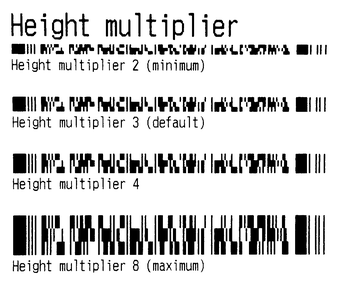 number $heightMultiplier: Multiplier for height of a module. Default is 3 times the width. 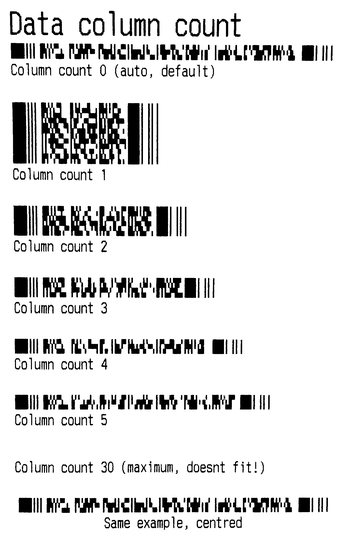 number $dataColumnCount: Number of data columns to use. 0 (default) is to auto-calculate. Smaller numbers will result in a narrower code, making larger pixel sizes possible. Larger numbers require smaller pixel sizes. real $ec: Error correction ratio, from 0.01 to 4.00. Default is 0.10 (10%). 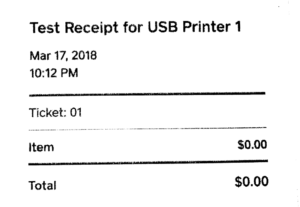 number $options: Standard code Printer::PDF417_STANDARD with start/end bars, or truncated code Printer::PDF417_TRUNCATED with start bars only. These PDF417 snippets above appear in the examples of escpos-php. This implementation accepts an error correction ratio as a percentage. The minimum is 1%, the highest is 400%, expressed as a decimal (0.01 – 4.00). 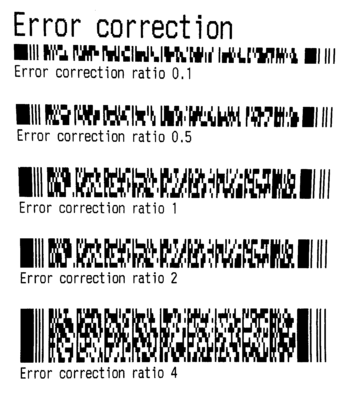 Higher error correction settings create lager codes that are more resilient to scanning errors due to damage. The same example string, with some different module widths. Note that the blocks in the code scale in bot directions when the width is changed. Larger print is easier for a scanner to read, but takes up more paper. The height of the modules in the code can also be changed, stretching it do a different degree. PDF417 that are too vertically squashy are more prone to scanning errors. The of data columns to print in the code can be customised to produce a narrower code. But beware, if you request a code that’s too big for the paper, nothing will be printed! Use this setting to select the alternative, ‘truncated’ code format. In the QR code post, I posted a fallback which used software rendering. As I don’t have a PHP-based PDF417 code library, you will need a printer which supports them to be blue to use these examples.